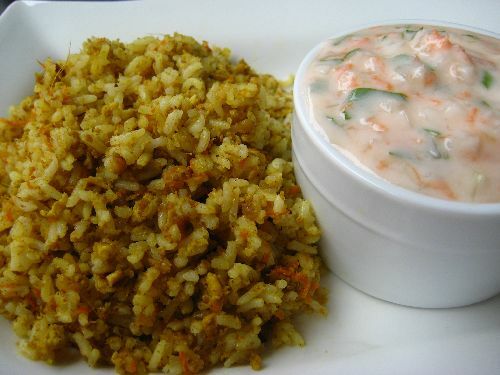 Normally we prepare carrot rice by just making carrot fry and mix them with it. 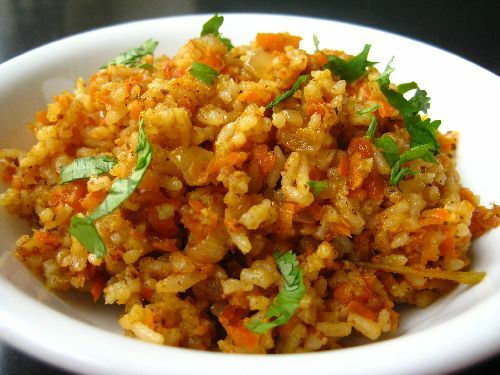 Carrot Masala Rice is prepared with ground masala powders. They taste more aromatic. 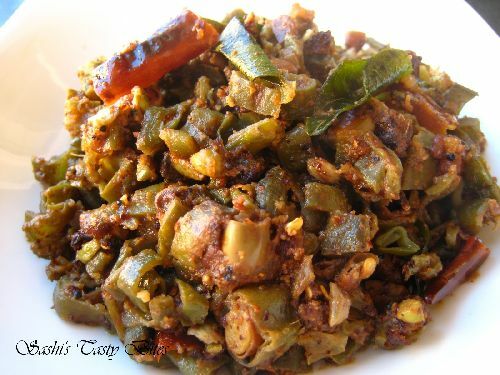 In a small pan add 1 tsp oil and roast the items given in "To Grind - 1. When it cools down, grind them into fine powder. Grind the peanut given in "To Grind - 2" to a fine powder. Peel the carrot skin and put it in hot water for 3 min. Grate the carrot in grater. 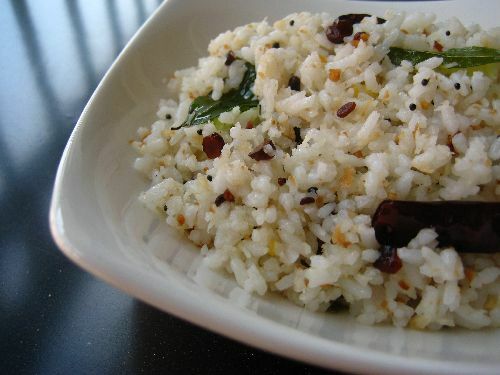 Cook the rice and allow it to cool down by spreading it in a plate. In a pan heat oi. When hot, add cinnamon, cloves and add onion, green Chili. Fry till onion is golden brown. Add the grated carrot and sprinkle some water. Cook till the carrot is cooked. Add the rice, salt and ground masala powder. Fry for 3 min. Switch off the flame and add the ground peanut and mix well. 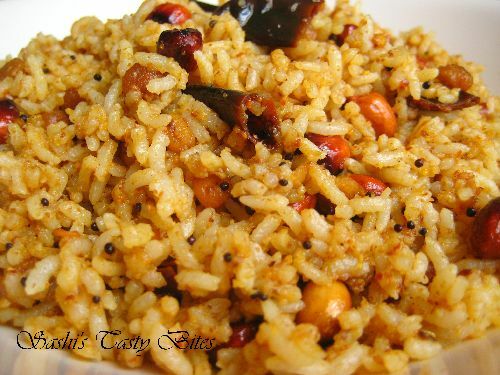 Serve the rice with papad, vadam or potato fry. Thanks for the recipe! We tried it out, and it was really good — nicely spicy. 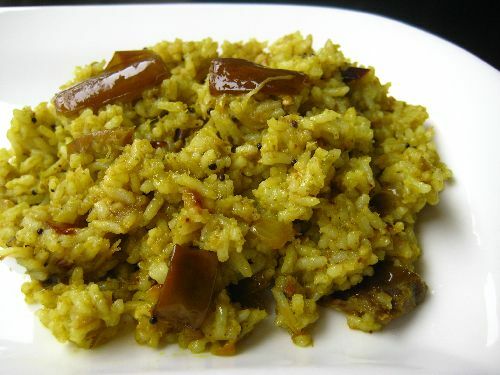 I tried this .. recepie..it was new and a different taste but we enjoyed it! Thanks for the tips Hema. I bet adding tomato must taste good. Will try it out next time.